Is a Macule a Sign of Skin Cancer? A macule is a discolored patch of skin that is not elevated and is less than one centimeter in diameter. If you were to close your eyes and run your finger over the skin, you generally would not be able to feel any change in texture. Macules are characteristic of different medical conditions, some serious and others not. They are referred to as primary lesions as they are often the first step toward identifying a disease. Other primary lesions include pustules (a raised pimple or blister filled with pus) and tumors. Macules can be seen on any part of the body, but are most frequently found on the chest, back, face, and arms. They may be hypopigmented (lighter than the surrounding skin), hyperpigmented (darker than the surrounding skins), or appear pink or red. Macules may be a sign of something serious or mean absolutely nothing at all. They are often present from the time of birth and may grow or increase in number as a person gets older. Even birthmarks may be considered a type of macule. Actinic keratosis has dry, scaly patches or spots that are usually found on the head, neck, hands, and forearms. Squamous cell carcinoma (SCC) can appear as a scaly patch, a firm red bump, or a sore that heals and reopens. They are seen more often on the rim of the ears, face, neck, arms, chest, and back. Melanoma can manifest as a dark spot on the skin or with sudden abnormal changes of a mole. If you find any suspicious-looking blemishes or lesions, consult a dermatologist as soon as possible. To determine the cause of a macule, the dermatologist will start with a physical inspection of the lesion. In some cases, such as with vitiligo or rosacea, the tell-tale appearance is enough to make the diagnosis (although further tests may be performed to identify any underlying causes). In other cases, the doctor may perform a culture if the cause believed to be fungal or use blood tests to identify a viral or bacterial infection. If cancer is suspected, the gold standard of diagnosis remains the skin biopsy. The procedure can be performed relatively quickly in the doctor’s office and under local anesthesia. After the skin is numbed, a sample of skin will be removed (either by shaving the skin, using a three-millimeter punch, or excising a sample with a scalpel) and tested in the lab. The biopsy is reversed for cases where cancer is suspected. Based on the results of any of these procedures—whether it be visual, a lab test, or a biopsy—the doctor will recommend the treatment appropriate to the diagnosis. 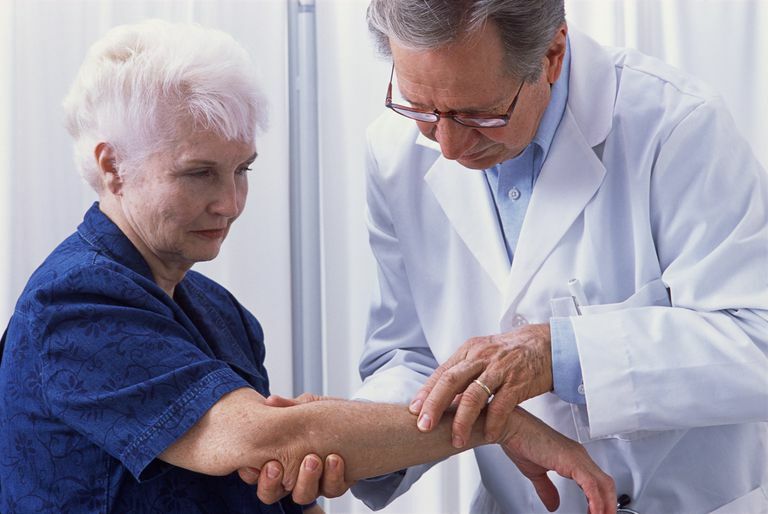 The sudden appearance of any skin lesion can be troubling, especially if it is fast-changing or irregular in shape. Even if you’re unsure what it is (or it doesn’t fit the characteristic profile), get it checked it sooner rather than later. In the end, there’s a good chance that the lesion will either be nothing serious or something that is easily treated. Even if it’s cancer, early diagnosis and treatment afford you the greatest opportunities for success. If caught early, even melanoma can be cured with relatively minor surgery. Wear sunscreen of SPF 15 or greater (even if it’s cloudy). Cover up with clothing and a wide-brimmed hat. Seek shade whenever possible, especially between 10:00 a.m. and 4:00 p.m.
Never allow your skin to burn. Check your body monthly for any suspicious-looking blemishes, moles, or lesions. Gandhi, S. and Kampp, J. "Skin Cancer Epidemiology, Detection, and Management." Med Clinic N Amer. 2015; 99(6):1323-35; DOI: 10.1016/j.mcna.2015.06.002. Plensdorf, A. and Martinez, J. "Common Pigmentation Disorders." Am Fam Physician. 2009; 79(2):109-116.